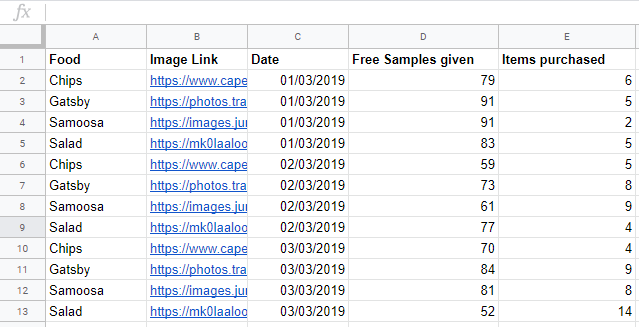 In this post I’ll give you a quick example on how to calculate Conversion Rates in Google Data Studio. I had made the mistake of using the formula: converted leads / total leads which did not display the expected results. 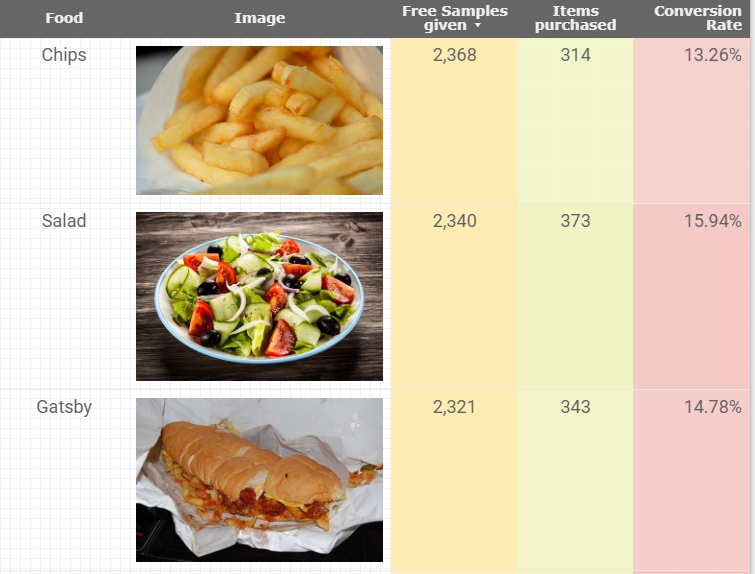 Below is a Data Studio report for a fast food shop. 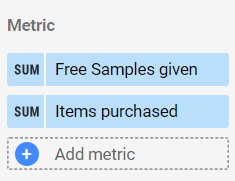 Hypothetically this shop has been giving out free samples of its products, and want to keep track of how well their sales have been doing over time. Below is the Data Studio dashboard itself. 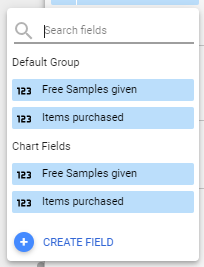 The first thing we should do is to add our sales and samples data to a Google Sheet. I’ve also added an Image link for each food item, which will help us add images to our table. 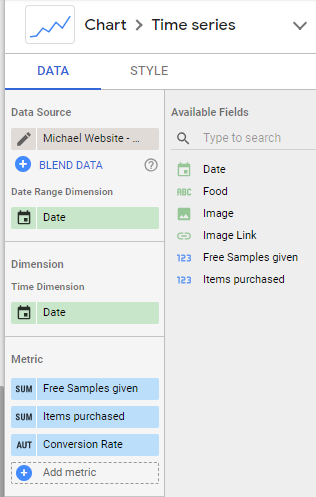 The next step is to create a new Data Studio report and add the data to it as a source. 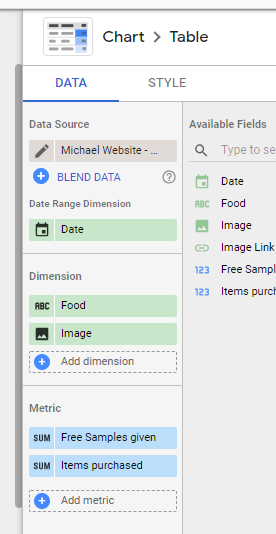 Before we create our table we need to create an Image field. 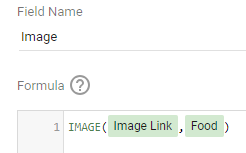 In this case we use the IMAGE function and link it to the existing Image Link field. 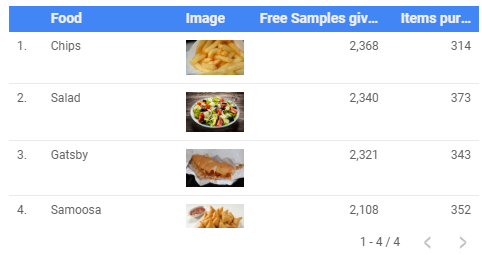 We now have our image field for the table. We can now create our table. Freshly created the table will look something like this. 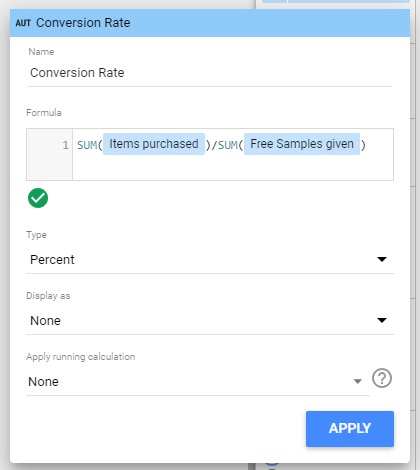 The next step is to create our Conversion Rate field. Then click on ‘Create field’. And choose the number to display as Percent. To cap things off we can also create a time series chart to show the Conversion rate compared to the free samples and sales over time. We will need to recreate the Conversion rate for this chart, and make sure it is displaying on a right axis. We should end up with a graph like this. Hope this has been useful and helps you with any conversion rates you need to figure out!